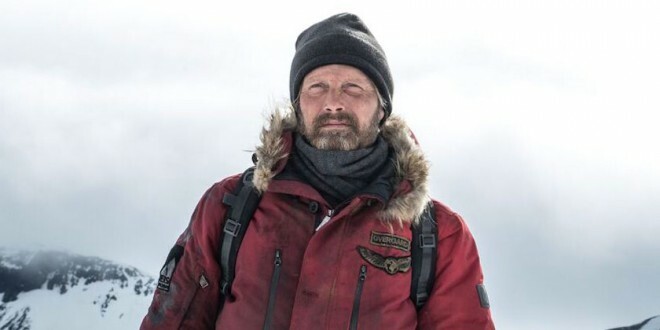 A nameless man, ambushed by a gorgeous, magnificently hostile, intransigent landscape, architects his survival; his doomed airplane and fishing expeditions keep him alive; Mads Mikkelsen’s performance is miraculous, imbued with astounding strength, tenacity and goodness; he rescues a wounded woman (Maria Thelma Smaradottir) after her plane and husband have perished; his phenomenal resourcefulness gifts viewers a look at a mythical, Valkyrie-like, indomitable spirit; his formidable, unwavering resolve is a shield of confidence, besting whatever the tundra endows. Awe-inspiring cinematography enhances a scenario of captivating, compelling wonderment. Director/writer Joe Penna’s fecund imagination presents a hero of epic dimensions; wordlessly, he manifests and exudes the complete spectrum of human emotions; an incomparable feat, incapable of duplication. Next: PENEFLIX ANNUAL ACADEMY AWARD CONTEST 2019, TWO WEEKS LEFT!! !